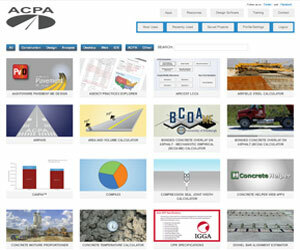 Visit ACPA’s online application library to access these FREE concrete pavement design, construction, and analysis apps. 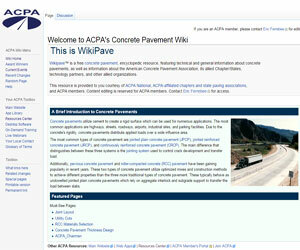 The “Concrete Pavement Resource Center” is a website that hosts over 1,400 PDFs on all topics related to concrete pavements. 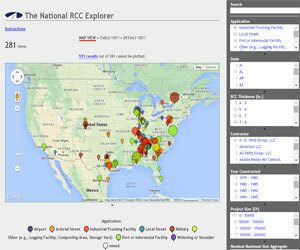 National Roller Compacted Concrete Explorer, is a web-based resource that allows contractors, agencies, consultants, and others to view a growing number of RCC projects throughout North America. 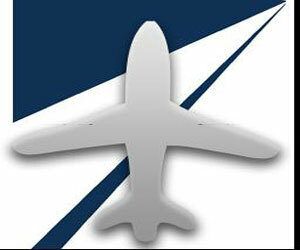 AirPave 11 includes a number of significant updates and improvements, including the latest commercial, military, and general aviation aircraft types and landing gear configurations. 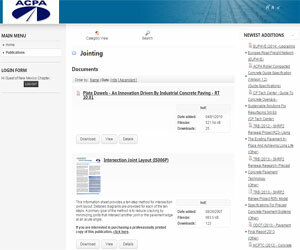 With this new version you will be able to analyze an entire fleet of aircraft or specialty vehicles in a single design run, to determine stress ratio and minimum required thickness. 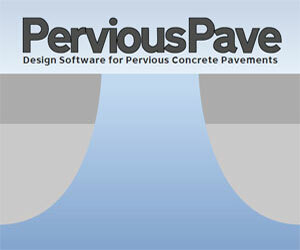 ACPA’s PerviousPave is design software that provides results optimized for both structural and stormwater-management requirements. 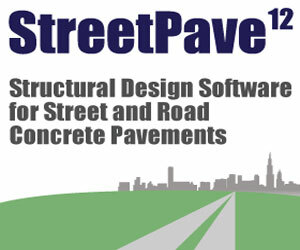 StreetPave 12 is the latest in jointed plain concrete pavement thickness design. 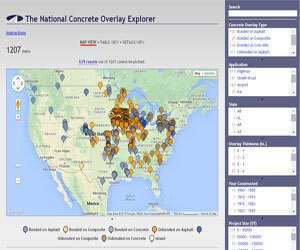 Newly added with this version is jointed plain concrete overlay designs for all six types (bonded on ashpalt, unbonded on asphalt, bonded on concrete, unbonded on concrete, bonded on composite, unbonded on compsosite).